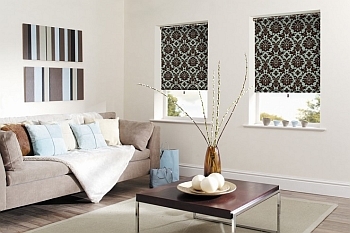 When choosing blinds, you should consider several factors before deciding on a particular type. What do you need the blinds for? Is light control your biggest concern? What about privacy, style, or ease of cleaning? 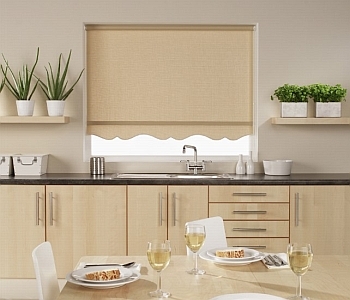 No matter what your top priority, there will be a type of blind to suit your needs, and roller blinds are among the most popular. In fact, they are very popular in both their manual and electric forms, and as their name suggests, they roll up when closed, making them almost unnoticeable and perfect if you’re going for a minimalist look. Roller blinds are extremely easy to clean, and for this reason, they are often used in bathrooms and kitchens where their functionality is usually most important (over style). All you need to do to keep them maintained is to wipe down the long-lasting fabric every so often with a cloth or duster, and as the roller blinds consist of a single sheet of fabric, this is extremely quick and easy to do. A simple reason why roller blinds are so popular is because they’re discreet and compact; they take up hardly any room on your window sill, so you can still use that space for photographs or ornaments without having to move them every time you want to adjust your blinds. When fully rolled up, these types of blinds look neat and tidy, something which you won’t get with every other type of blind available. As well as being convenient and functional, they’re easy to install, affordable and durable. If you need blinds that will give you privacy, roller blinds are perfect as there are no slats for extra light to come through, but if you need more privacy – or if you need to keep all light out, for example when making a presentation at work – blackout roller blinds are made from a thick fabric for this very purpose. These also work very well in bedrooms or nurseries to ensure an uninterrupted night’s sleep during the sunny summer months. While roller blinds are perfect for the minimalist look, you can purchase them with several different options if you wish to make them more stylish and noticeable; these include customising them with poles and braids, or opting for a different shape on the bottom to give them a more interesting appearance. Of course, even if you go for the simple, original roller blinds, you can still make a statement in any room by choosing a plain, bold colour to contrast with your existing décor. For those looking for modern, contemporary window treatments, you can’t get much more up-to-date than electronic blinds. Not only are these convenient to use, but they have many practical purposes; instead of using cords, they can be operated remotely, using wall switches, timers or light sensors, giving you complete control with just the touch of a button. These devices are perfect for those who are less able or for those with small children who worry about the potential dangers of using cords. With cordless electronic blinds, child safety is guaranteed.